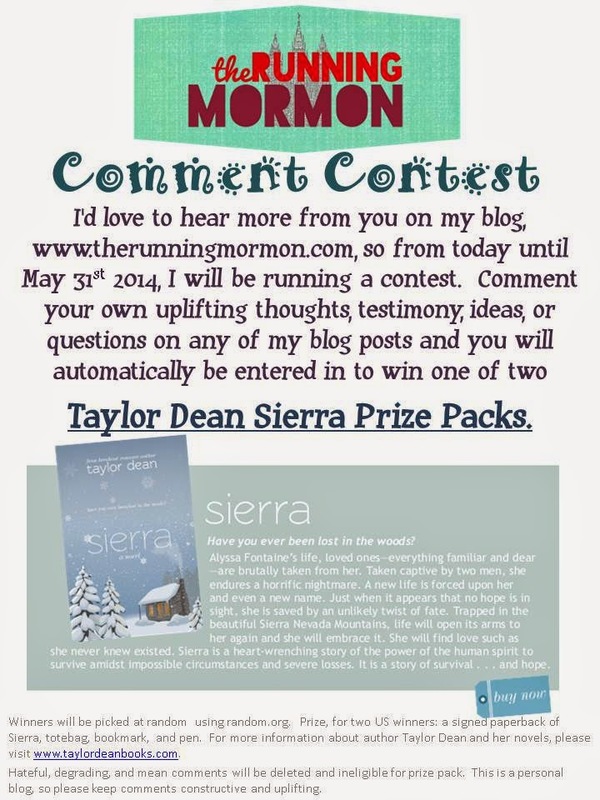 I'm running my first blog contest! 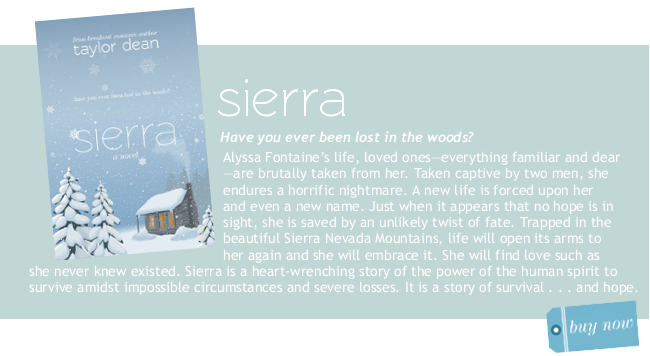 Taylor Dean Books has generously donated a Sierra prize pack complete with an autographed copy of Sierra, tote, bookmark, and pen. To enter, just comment on any of my posts! Contest starts today and ends on May 31st. 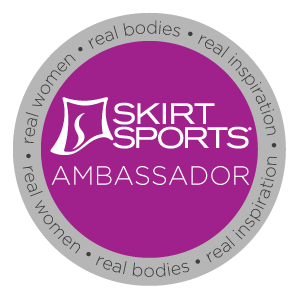 Please keep your comments constructive and uplifting as this is a personal blog. I look forward to reading your thoughts, comments, and questions! 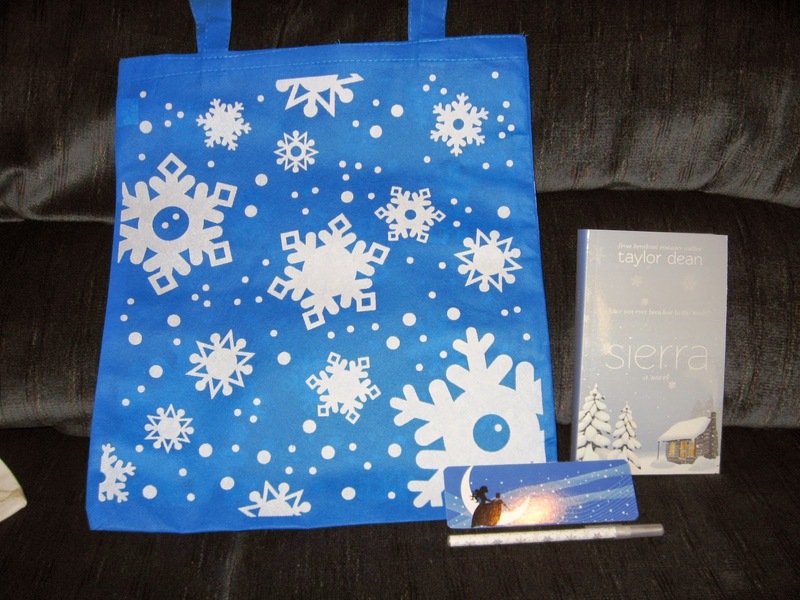 Sierra Prize Pack: Autographed copy of Sierra, bookmark, tote, and pen. Please visit Taylor Dean's website for more information on author Taylor Dean and her wonderful novels. Winners will be picked at random using random.org. Prize, for two US winners: a signed paperback of Sierra, totebag, bookmark, and pen. For more information about author Taylor Dean and her novels, please visit www.taylordeanbooks.com. Hateful, degrading, and mean comments will be deleted and ineligible for prize pack. This is a personal blog, so please keep comments constructive and uplifting.